Voters who supported Trump were repeatedly promised that not only were they getting a southern border wall to keep out migrants who Trump calls “rapists” and “criminals,” but also that the wall would be paid for by the Mexican government. (Trump is still spinning seemingly unrelated news to claim that Mexico is in fact actually paying for a wall somehow.) Now after more than two years in office and no wall-building plan in sight, Trump supporters are attempting to take matters into their own hands. Kolfage also writes that he has been in touch with “many very high level contacts” around the Trump administration about plans for distributing the funds. It is not clear who those contacts may be. The campaign has been shared more than 637,000 times on Facebook, according to GoFundMe metrics at the time of this article, and the campaign page on GoFundMe lists that Kolfage is currently scheduling interviews with Fox News’ Laura Ingraham for tonight and Fox News Business’ Maria Bartiromo tomorrow morning. 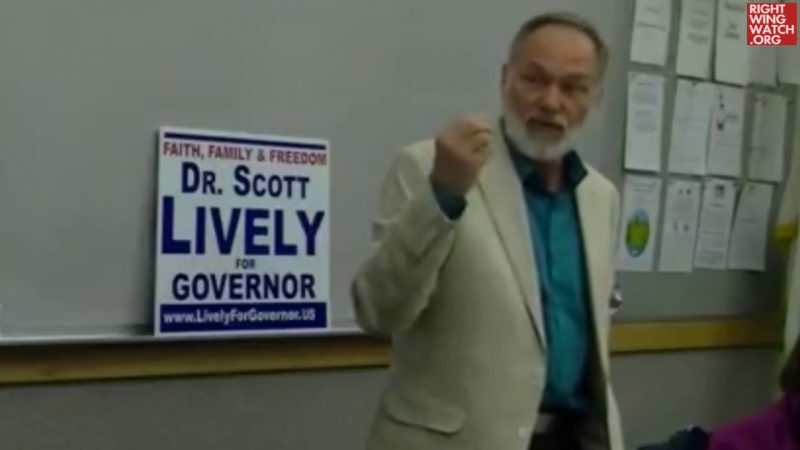 The campaign has been promoted by right-wing pundits who earned their following online shilling for Trump and fearmongering about immigrants, including Scott Presler, Ryan Fournier, and Ben Garrison. Trump has faced increasing criticism from right-wing pundits over his failure to deliver what was arguably his most clear-stated campaign promise. Ann Coulter, in particular, has been increasingly harsh toward Trump in public, warning her followers that they will be replaced by migrants if Trump does not act soon. Trump unfollowed Ann Coulter on Twitter last night after her latest criticism. 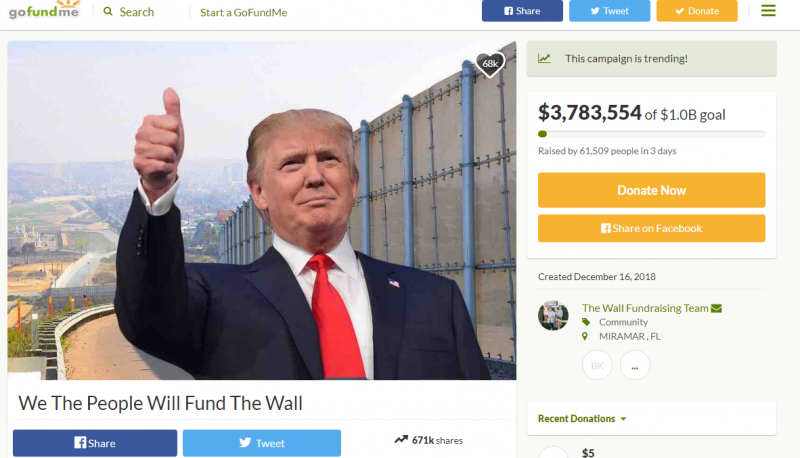 Human Right Campaign’s Charlotte Clymer has constructed her own GoFundMe page raising money for ladders to get over Trump’s wall, building off a joke made by Twitter user @HoarseWisperer. Funds raised for ladders will be donated to the Refugee and Immigrant Center for Education and Legal Services (RAICES) if either campaign—wall or ladder—fails to reach fundraising goals.